Certainly pay heed to the staff of ViaVia Hostel in Copan Ruinas when they tell you that the weekends are loud. They are, and there is a good reason for that. 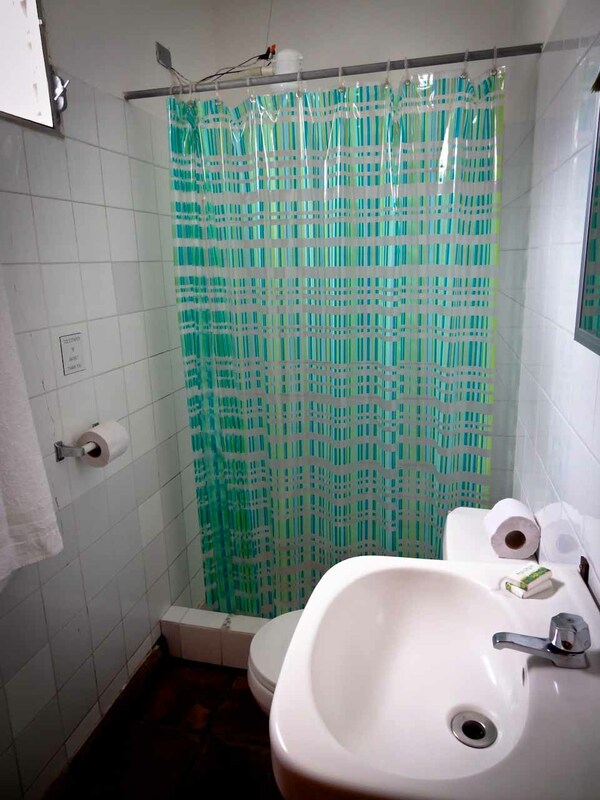 Much like their counterpart hostel ViaVia in Leon, this one has managed to integrate itself into the life of the inhabitants of Copan to become an unforgettable crossroad for locals and travellers alike. Our phone reservation did not allow us a room right away. Someone was sick and they did not want to kick her out which, even though it put us out for the night, I really did respect. 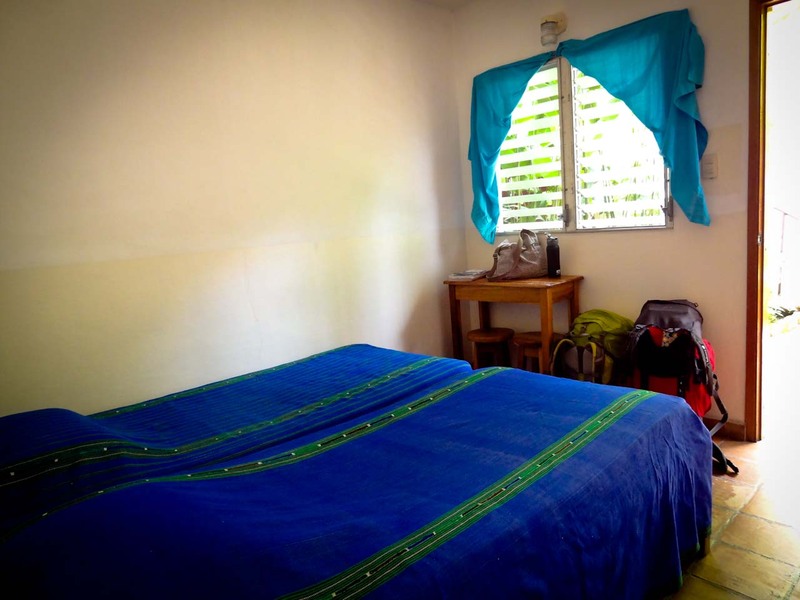 There is actually no shortage of accommodation in Copan and we quickly relocated to the fabulously comfortable Iguana Azul Hostal of Copan Ruinas. But we were decided to come back and experience ViaVia, and that we did. It starts of with a welcome lemonade, which if you ignored the lures of the tuktuks and decided to walk through town under the afternoon sun, you will much appreciate. It continues with a great menu from breakfast to dinner at a terrasse which allows you a great view onto one of the busy cobblestone street of the village. Many travellers will come just for the food, or the cocktails and this is probably one of the main reasons why the place is so attractive to so many. Another reason is the basecamp travel agency which can help you book tours to the ruins, la Finca El Cisne and more. The room itself is alongside a few others, all the way to the back of the hostal, behind a lush little garden. On a regular day it is enough to protect you from the humdrum of traffic and the buzz in the hostel but on a Friday night, you ´ll need your earplugs. The place itself is busier than usual but it is definitely the bar next door that will otherwise keep you awake until at least 2am. My advice, take an early nap and join in. 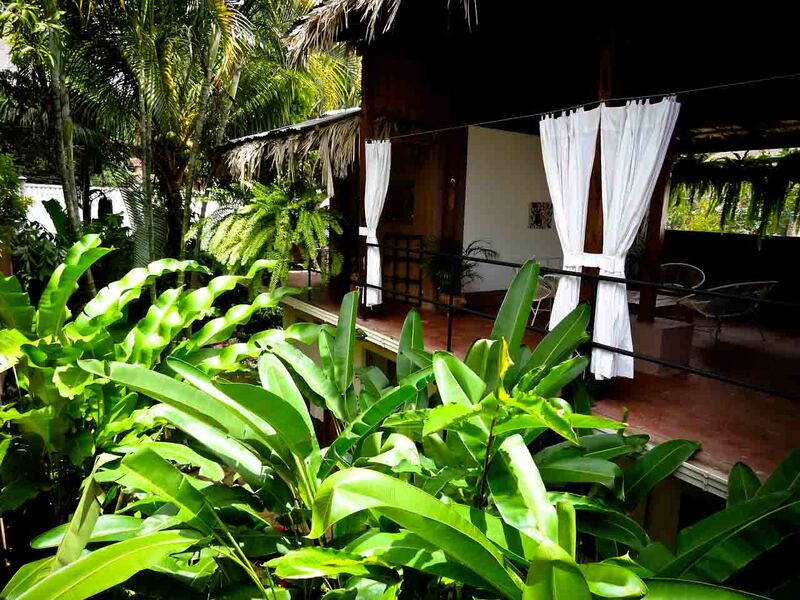 In conclusion, if you ´re coming to Copan to relax from your impetuous travels, you might want to look elsewhere. 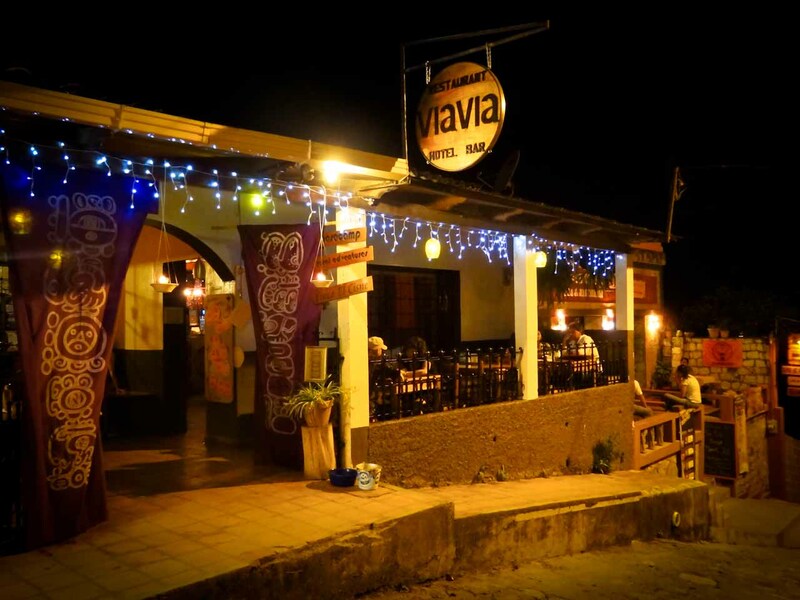 If on the other hand you want company and you want it fast, head straight to ViaVia Cafe, you ´ll be guaranteed to find it within minutes of your first Hola! Just want to you to give you this update… the bar next door has been closed for a few weeks now, so peace has come back to the sleeping clients of ViaVia! We don’t know what the future will bring, but for now they are getting that beauty sleep! Thank you so much for your comments and your beautiful pictures. By the way the straydog’ s name is Patdog and as soon he is used to being around me, I am planning on giving him a good bath. Until then, food and love will have to do the trick! That’s splendid news because I much preferred the music from ViaVia! Thank you very much for the update and give our love to PatDog! Via Via is Copans ´premier place to meet, greet and grab a treat … aka .. snack, meal, drink, etc. Hands down, this place rocks! … and obligatory stop on the Central American gringo trail. Jess and I absolutely agree on this. It was obviously the social center of the little town of Copan Ruinas. And Copan should be a definite stop along your backpacking path! Hey, this places sounds really nice, and we are heading to Copan Ruinas next week but it would be helpful if the address or phone number was included. Muchas gracias! We’re actually working on it Koren but between maps, addresses & phone numbers or hostelworld references, nothing has been decided. Do you think the best way would be phone number?